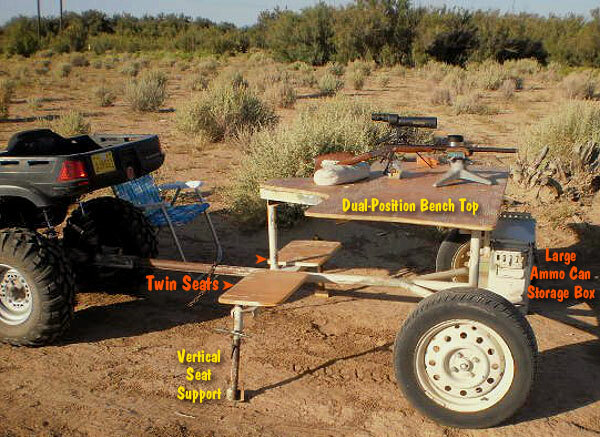 AccurateShooter Forum member John H. of New Mexico (aka “Skratch”) has created an impressive mobile shooting bench that he can haul with his ATV. 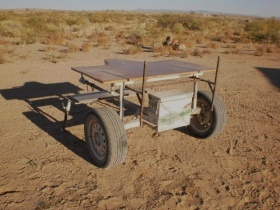 This trailer-mounted, movable bench is built on a central tubular spine that also serves as the tongue for the trailer, which attaches to a standard hitch. 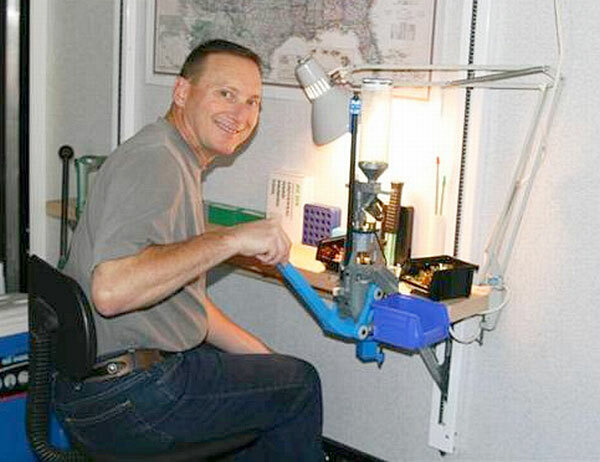 The bench offers two (2) shooting positions so it works for both left-handed and right-handed shooters. Up front, for storage, a surplus .50-Cal ammo can is secured to the trailer frame. 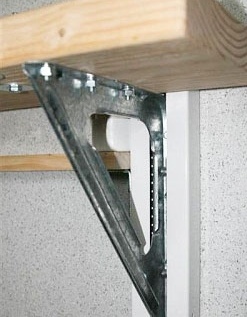 The V-shaped middle section of the wood benchtop looks to be reinforced with a metal stiffener frame on the underside. The front section of the bench is supported by twin tubular uprights attached to the box-section axle housing. The two wooden bench-style seats (on left and right) ride on a cross-tube. At the ends of that cross-tube are adjustable legs for additional support. There are plenty of great varmint hunting areas in Skratch’s home state of New Mexico — you’ll find some huge prairie dog fields there. But to get the best results on a varmint-hunting field session, you need a solid shooting station that can be easily hauled to new locations as needed. 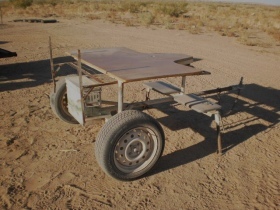 It looks like John (aka “Scratch”) has come up with an outstanding “War Wagon” for his New Mexico varmint safaris. We set the bench and seat heights so that, with adults, the rifle sets straight level to the shoulder. For the smaller ‘younguns’ we just use a sofa pillow to raise them up. (Yes, adjustable seat heights would be great.) The ammo box holds our rifle rest, sand bags, spotting scope, and miscellaneous gear. Options are a couple of lawn chairs, and a cooler of brew (for after the shooting is done). 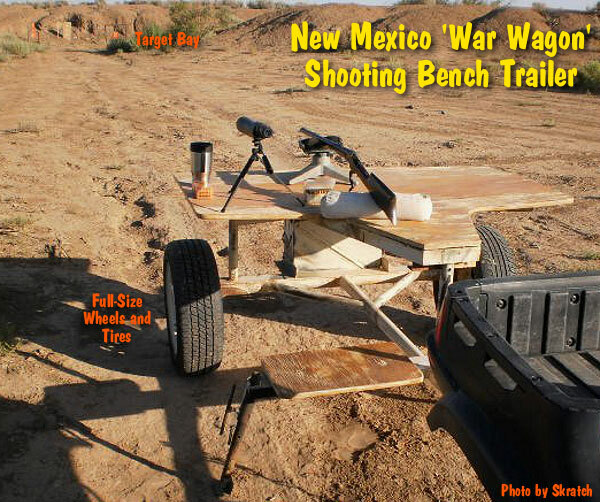 Share the post "New Mexico War Wagon for Varmint Safaris"
In our Shooters’ Forum thread about Portable Shooting Benches, Forum member John H. of New Mexico (aka “Skratch”) showed off a nicely-crafted mobile shooting bench that he can haul with his ATV. 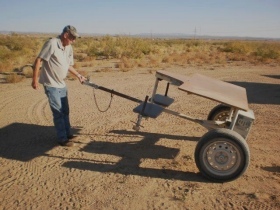 This trailer-mounted, movable bench is built on a central tubular spine that also serves as the tongue for the trailer, which attaches to a standard hitch. 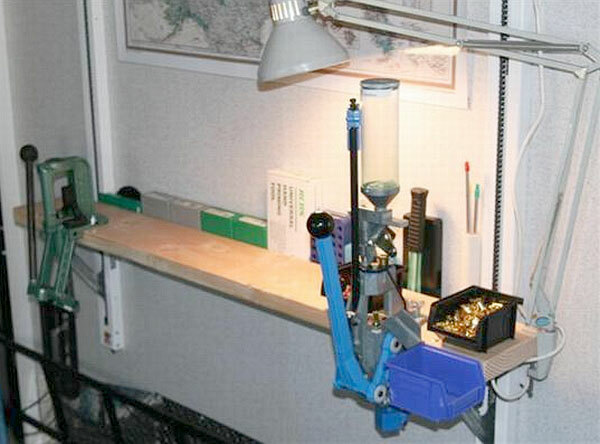 The bench offers two (2) shooting positions so it works for both left-handed and right-handed shooters. 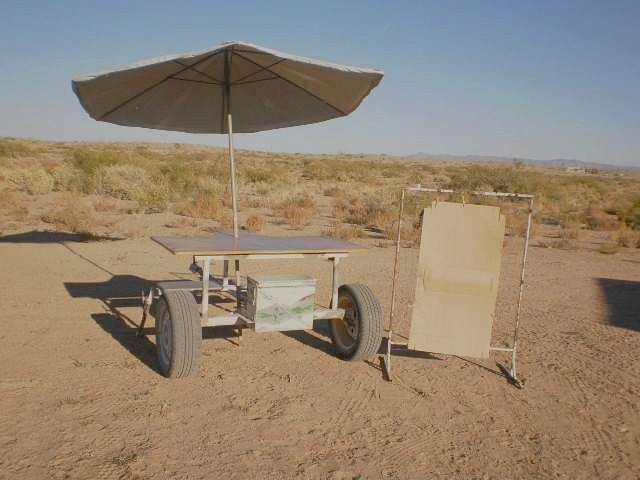 Share the post "Trailerable Shooting Bench — Impressive DIY Project"
Share the post "BYO War Wagon — Shooting Trailer for Varmint Safaris"
Much like operation systems used at a DIY carwash, a stand-alone control pedestal houses the credit card reader, and the game selection keyboard. The shooter swipes his/her credit card, then chooses one of 10 pre-programmed game option / shooting scenarios. Shooters have several options including various timed games, Random Plates, and “Dueling Tree” for man-on-man competition. 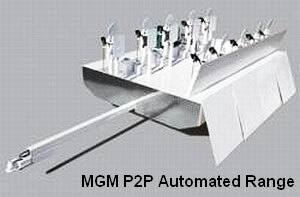 Designed to be a cash generator for public and private commercial ranges, the system combines the proven technology and durability of MGM’s electronic ‘Pop Up’ trailer with a credit card reader/integrated cell phone system. 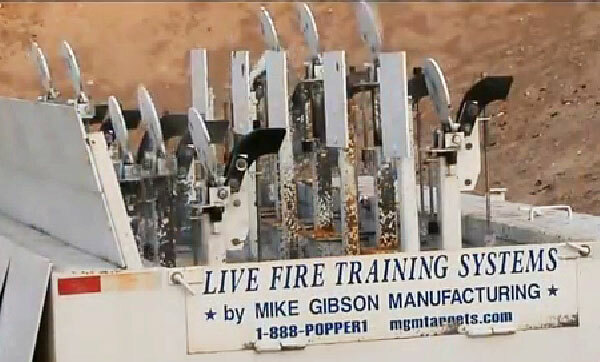 This technology is presently in use at private ranges and military bases. If you own your own range, this could be the ultimate toy… and you can get your shooting buddies to pay for it with their credit cards. (Default “pay to play” rate is $5 for 10 minutes.) Commercial inquiries are invited — contact MGM at 888-767-7371 for information. Share the post "MGM Unveils Mobile Electro-Pneumatic Automated Target System"
After we ran a story on the New Mexico War Wagon, readers wanted more details about this well-designed mobile shooting bench belonging to Forum member John H. (aka “Skratch”). When our buddy Mark LaFevers (AccurateShooter.com’s chief fabricator), saw the war wagon, he was impressed. 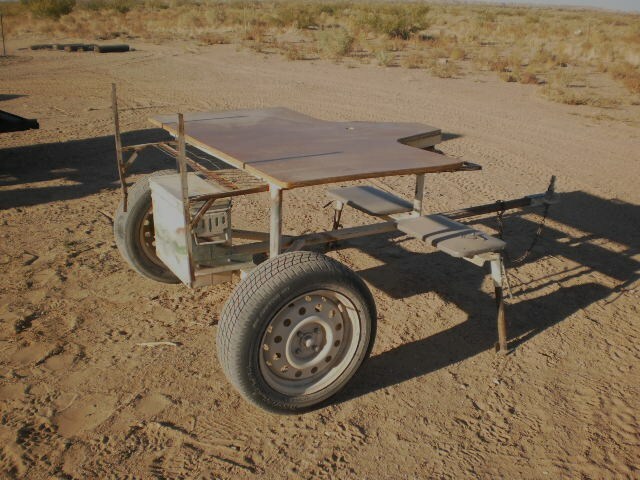 Mark, a professional welder by trade, is now thinking about building a similar rig — with some enhancements. Mark told us: “The thing I like best about the design is the simplicity. It has enough features to get the job done without any frills, bells and whistles. There is always the danger as one adds items that seem like they would be desirable, that the unit becomes too complex and loses its fun aspect. Still, I would try adding a few things. I like how the builder has added stabilizers at the seat locations. 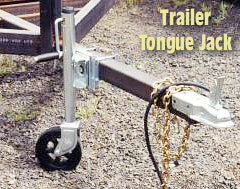 For areas with steep or uneven terrain , I would consider adding a trailer tongue jack to be able to level front to rear, or disconnect from the ATV to go check targets. I would also consider not hard-fastening the bench-top to the frame, but rather mounting it with screw-jacks to be able to level it independently from the frame, both crosswise and lengthwise. Being able to level the benchtop may not be necessary in flat prairie country, but it would be helpful on hilly or uneven terrain. I would also make the seat height-adjustable. That would accommodate different shooter body sizes and shapes. Height could be adjusted with a threaded seat column, which you can buy cheaply online. 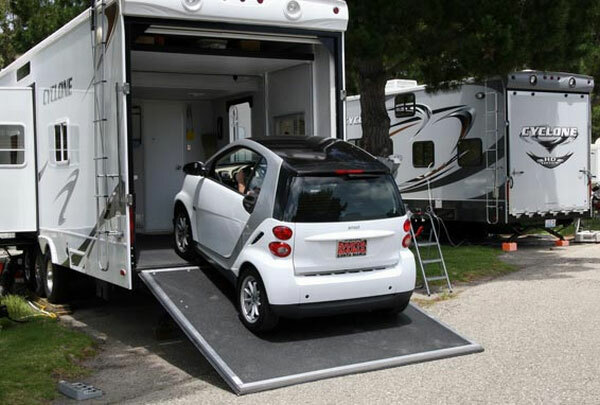 You could even mount a slider to allow front-to-rear seat movement. This would allow you to move back for longer rifles and forward for smaller rifles or Encore-style pistols. Of course, there are other possible “creature comfort” options. If you really wanted to “pimp your ride”, you could include an umbrella stand, gimbaled beer holder, the mandatory water-misters, and a mobile sound system…. Share the post "War Wagon Part 2 — Details of Skratch’s Mobile Shooting Bench"
Share the post "New Mexico ‘War Wagon’ — Mobile Benchrest Trailer"